Dexterity is the ability to use your hands skillfully, fluently, quickly, and easily. Why does your child need to master a skill that seems so complicated? This fine motor skill helps kids hold a pencil correctly and, perhaps even more importantly, helps them control that pencil to produce legible writing on a piece of paper! Babies are working on dexterity right from the very beginning as their primitive Darwinian Reflex has them grasping your finger when you place it in their palm. Eventually, that tiny baby begins to grasp other objects too. Her grip strength improves, her ability to pick up small objects (think Cheerios!) improves, her ability to move objects within her hand improves, and she can even begin to transfer objects from one hand to the other. 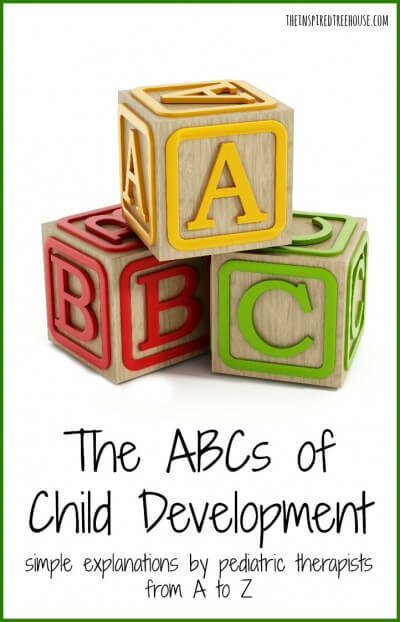 As your baby enters toddlerhood, she gains even more experience with toys and begins to manipulate objects with different size, weight and shapes. She learns to manipulate these objects without dropping them and can purposefully put them into their place (such as in a shape sorter or puzzle). She can isolate one finger to point and to push buttons on toys – or the remote control! Preschoolers begin to show the power of those Super Fingers as they develop a tripod grasp. For this age, dexterity comes into play as children learn to cut with scissors, become more independent with clothing fasteners, and learn to trace and copy lines and shapes. You will begin to notice that children this age show less movement in their arms, wrists, and hands during fine motor activities and smaller, more fine tuned movements within the hand. There are so many complex elements of dexterity, but the good news is that there lots of creative and playful ways to work on these skills. 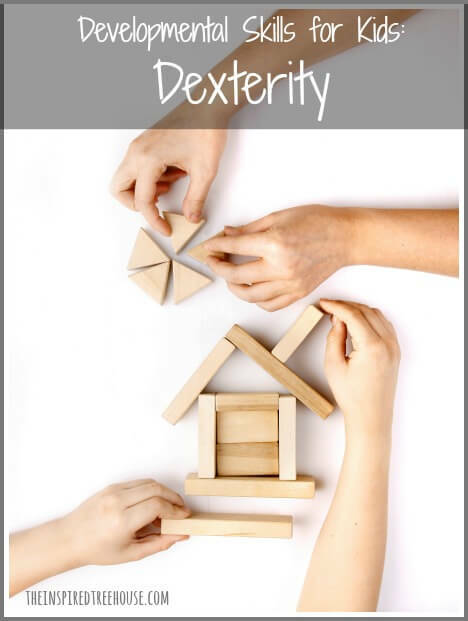 If you notice that your child fatigues quickly during fine motor activities or writing or if your child struggles with fine motor skills like cutting with scissors or manipulating small objects, check out some of these great activities for improving dexterity! Nice psot. Kids learning tips is nice to work. Thank you for sharing these useful information.